This is a prime opportunity to enter HR Outsourcing / Recruiting Firm as a team member. 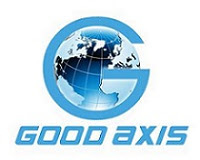 Global Axis Nigeria Limited is seeking for enthusiastic corporate marketers to set appointments and help drive business. Researching and sourcing for potential customers/clients. Liaising and networking with a range of stakeholders and clients. Marketing and sales of products/services proactively to new/prospective customers/clients. Ensure assigned goals and targets are met weekly. Good understanding of Nigerian companies and industries. Be honest, be a team player, and maintain a professional demeanor. Driving skill will be an advantage.